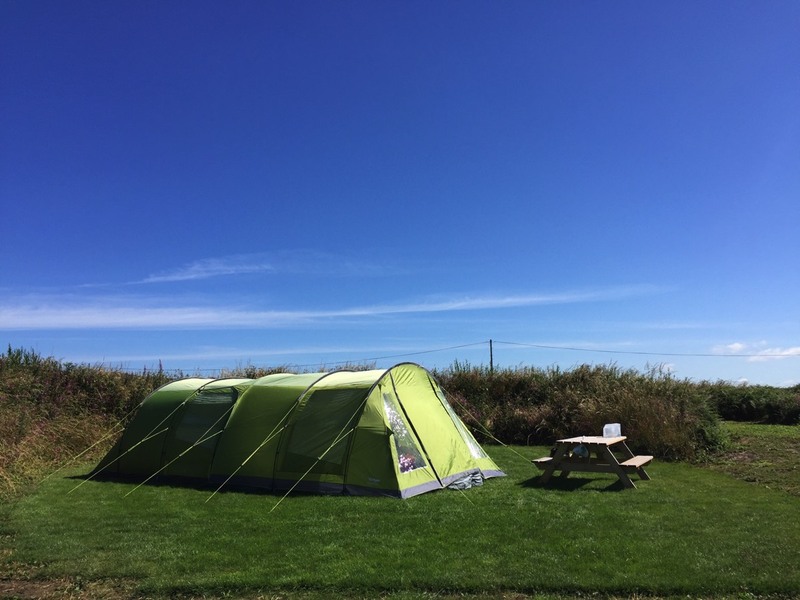 Peaceful, quiet, exceptionally spacious hide-away & meadow camping a short walk from Whitesands Beach with modern clean facilities. 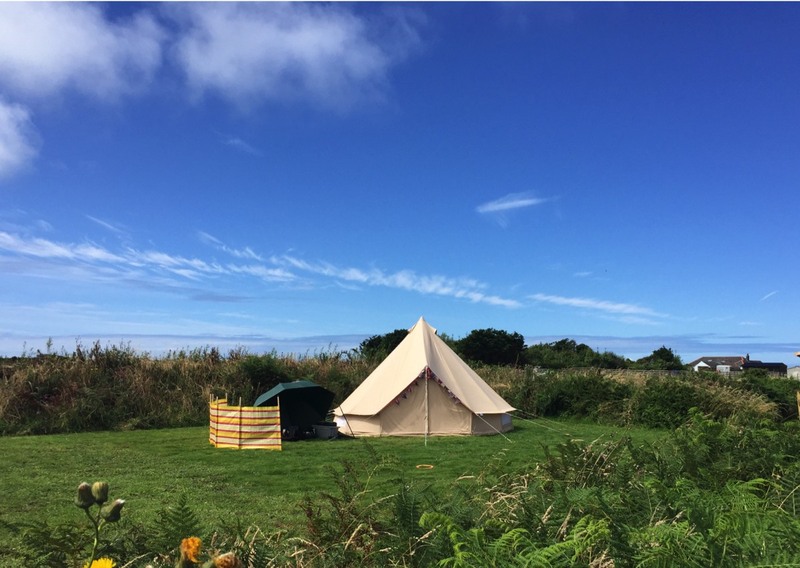 Dunes has 10 hideaway family pitches and 5 meadow camping pitches set in 10 acres of wild Pembrokeshire Countryside. Each pitch has plenty of space and is complete with fire pit and picnic table. 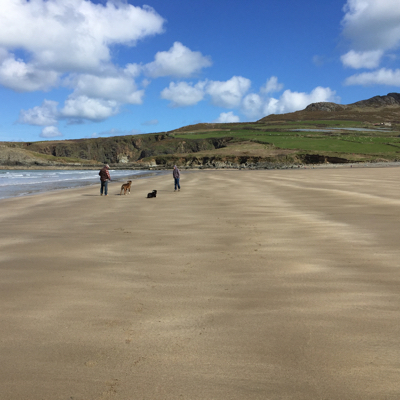 Dunes is just a few minutes walk from the amazing Whitesands Beach and less than two miles from the cathedral city of St. Davids. 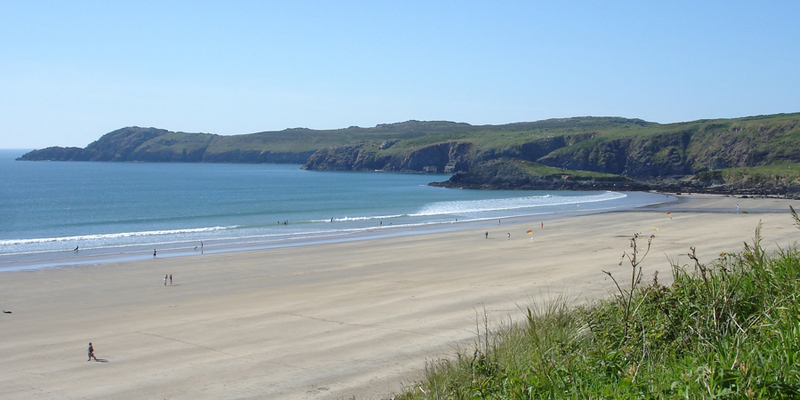 This is Whitesands Beach. 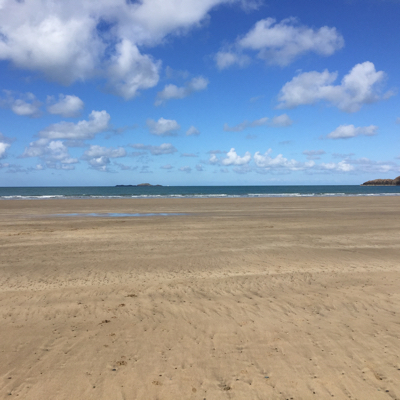 You can walk to this Blue Flag award winning beach from the campsite. 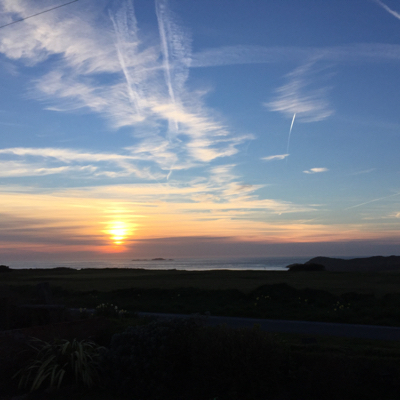 This is an idyllic location boasting sea views, spectacular sunsets, peace and quite and yet just a stroll from Whitesands Beach and a brisk walk into St Davids. The pitches are hideaway and spacious. You will not be crammed in here, there is room to spread out and enjoy yourselves. 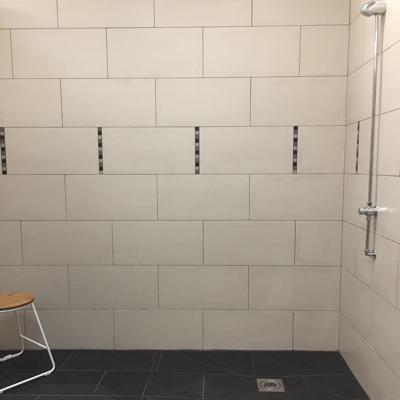 For 2019 we have a brand new facilities including free hot showers, flushing WC’s, a large family bathroom, hot and cold washing up, fridges and freezers. An endless supply of hot water is provided by a mix of solar and electric power and there is the added luxury of underfloor heating. Outside there is a partially undercover “hot” shower for rinsing off after a day at the beach. We have five pitches benefiting from electric hook up. 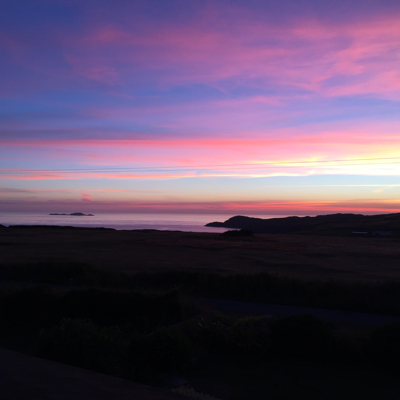 Rural Pembrokeshire - The site is set in a beautiful wild Pembrokeshire countryside with fabulous views across Whitesands, St Davids, St Brides Bay and Carn Llidi. 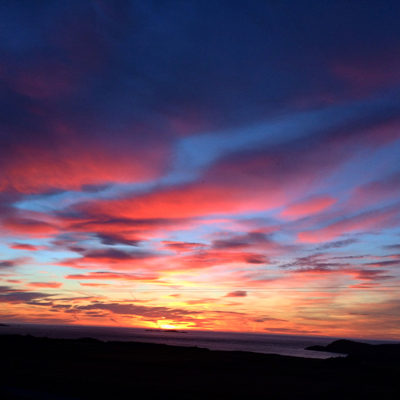 Once the sun goes down keep warm by the camp fire, enjoy the fabulous night skies and listen to the pounding surf drifting up from the beach. There is almost no light pollution out here and this results in a fantastic view of the Milky Way. 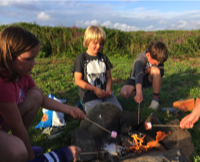 Children can play safely, the hideaway and meadow camping pitches are vehicle and dog free site and with the right supervision love toasting marsh mellows over the camp fire. There are mowed tracks within the site where children can explore nature. 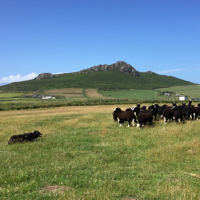 Rare Breed Sheep & Our Working Sheep Dog Rhian- We have a small flock of Balwen Welsh mountain sheep. 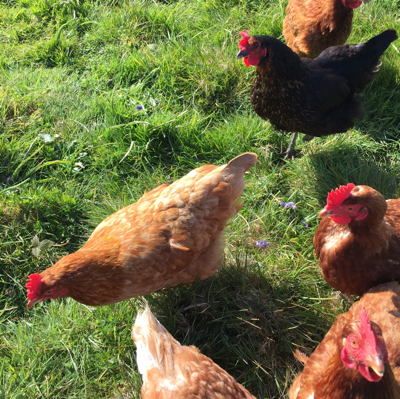 They are a small very hardy breed, that originate from one small area of Wales in the Tywi Valley. 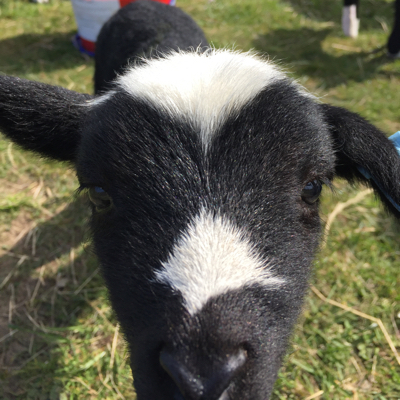 They have very distinctive markings being black in colour with a white blaze white socks and a white tail tip. Dunes is a haven for bird watchers. 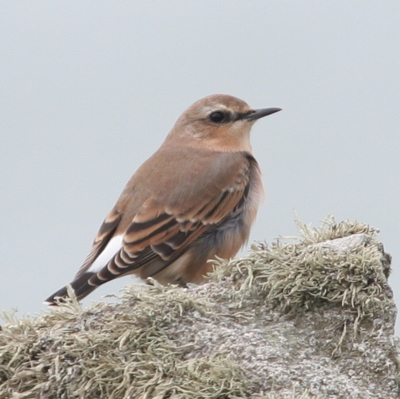 Along with the numerous land species which visit the camp site and surrounding area (Choughs, Swifts, Grouse, Buzzards, Owls, and Kestrels), the local offshore islands are inhabited by a wide variety of sea birds including; Gannets, Razorbills, Guillemots, Puffins, and over half the worlds population of Manx Shearwaters breed on the islands of Skomer and Ramsey. 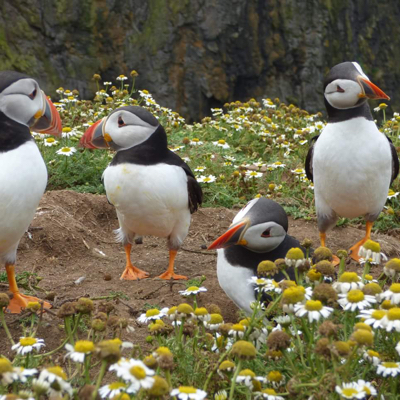 Skomer is also home to the largest Atlantic Puffin Colony in Southern Britain. 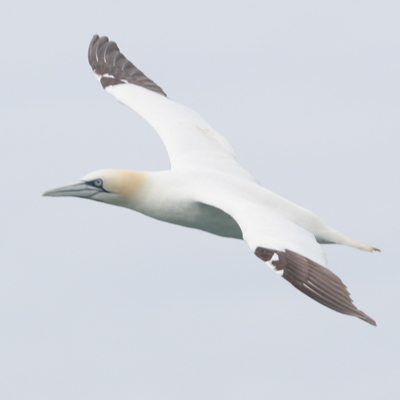 Grassholm Island is a tiny piece of rock but is home to the third largest colony of Gannets in the world, roughly thirty nine thousand pairs visit the island. Ramsey Island has a host of resident birds including two breeding pairs of Peregrine Falcons. The islands are easily accessible via one of the many boat trip companies which operate out of nearby St. Justinian. We are just home from what has become our favourite camping destination! 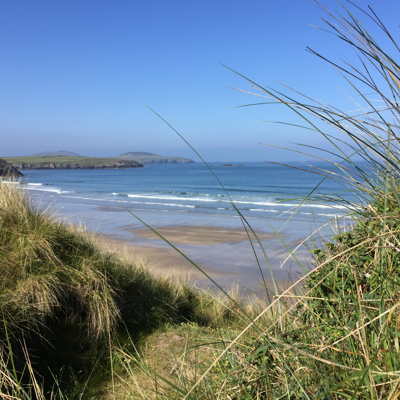 Dunes camping is literally a 10min stroll to Whitesands Bay, St David's is also in walking distance & easily accessible by car. Top marks for location...but that's easy, it is what it is! 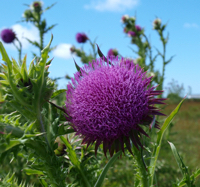 The site itself: we stayed on the Curlew Pitch, a large plot surrounded by bracken, hedge seedlings, thistle & various other wildflowers that grow to such a height that you are essentially entirely private. Our pitch had an eco loo. This is a composting toilet that was immaculate, well built & only for our use during our stay. By following the instructions the loo remained clean & odourless during our 3 night stay. There were two showers (but the site only has 10 pitches so there was never a queue), & a washing up station. 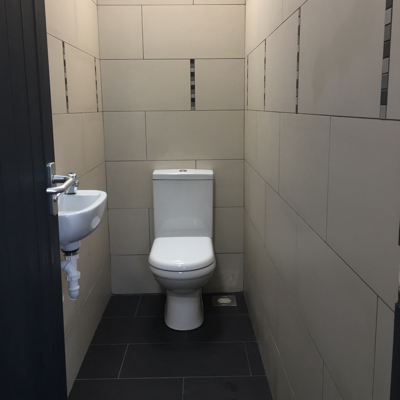 All of the facilities kept clean & to a high standard. If the private, quiet, secluded & well located pitch with clean facilities isn't enough the owners came up trump's yet again! Each pitch has it's own shelf in one of the two communal fridges, there is a bank of sockets for charging phones etc & a freezer (you can borrow & switch out Dunes ice blocks to keep your cool box cool). 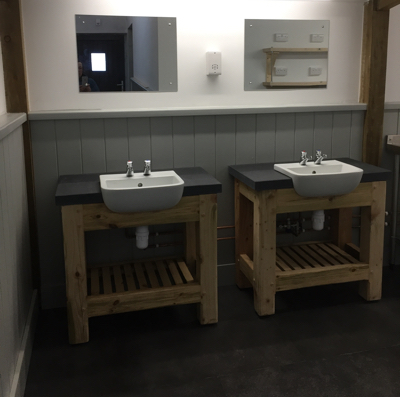 Everything I have already mentioned makes this site worth the rating, in addition to this there is a shiny new bathroom/ flush toilet installation in the stable block near the main house as well! The owners were hugely welcoming, instructions & guidance very clear & the site well maintained. We loved the added bonus of not having to dodge campsite traffic as once unloaded & pitched we removed our car to the Dunes parking area! I cannot rate this site enough! We really loved this campsite! 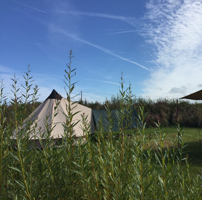 The pitches were private and spacious and perfect for the kids to run about safely on - like having a tent with your own private garden! 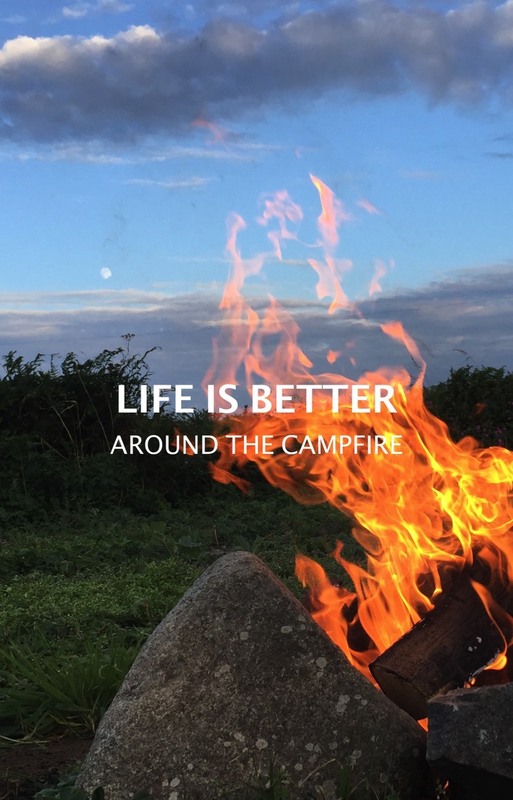 We enjoyed campfires in the evenings which also had a grill for cooking (brilliant as we had no room to pack the bbq) The on-pitch composting toilet was brilliant - much better than I had expected - clean, comfortable and fresh smelling! The other facilities were immaculately clean and tidy. Lovely hot showers in very well designed cabins and a great indoor washing-up area with fridge, freezer and charging points. 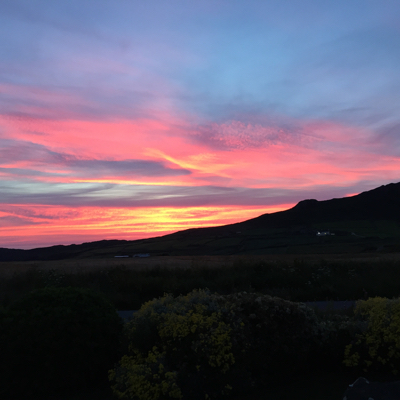 We had everything we needed on site and Fran and Richard were absolutely lovely and made sure that our stay was perfect. The surrounding area was also lovely. 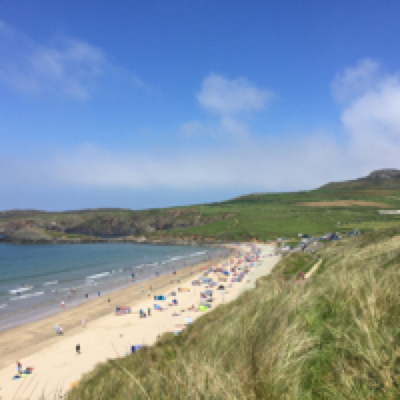 We spent several hot days on the beautiful Whitesands Beach (a short off-road walk) - a brilliant beach for sandcastles and surfing! 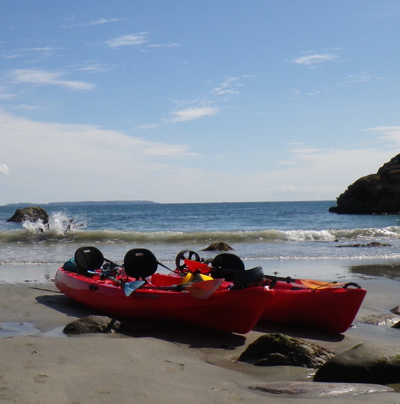 We visited St Davids, climbed Carn Llidi for some amazing views, had an exciting 'wet and wild' boat trip with Venture Jets - where we saw seals close-up and also spent a very adventurous afternoon coasteering with TYF with the eldest child whilst the younger children enjoyed an interesting trip to the Bug Zoo! What a great holiday! We can't wait to return!!! I have been camping for several decades and this is by far and away the best campsite I have ever stayed at. Fran and Richard are very welcoming. The site is beautiful and you feel as though you are getting right back to nature. It is a site for true campers. 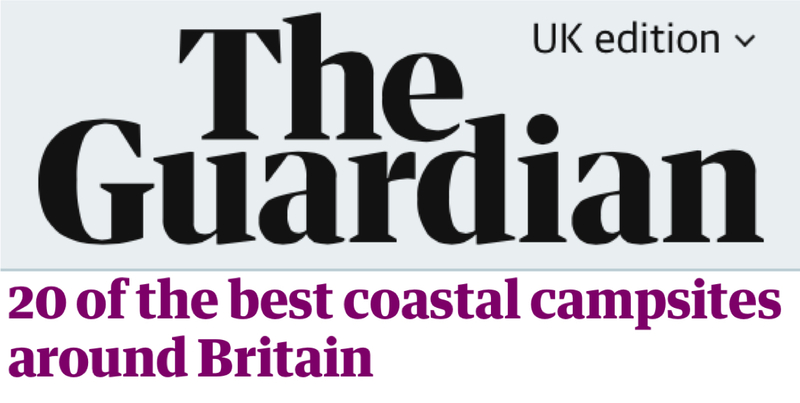 There are no campervans or caravans. Just tents on their own designated glades in amongst the dunes. We had a lovely week staying at this magical place. 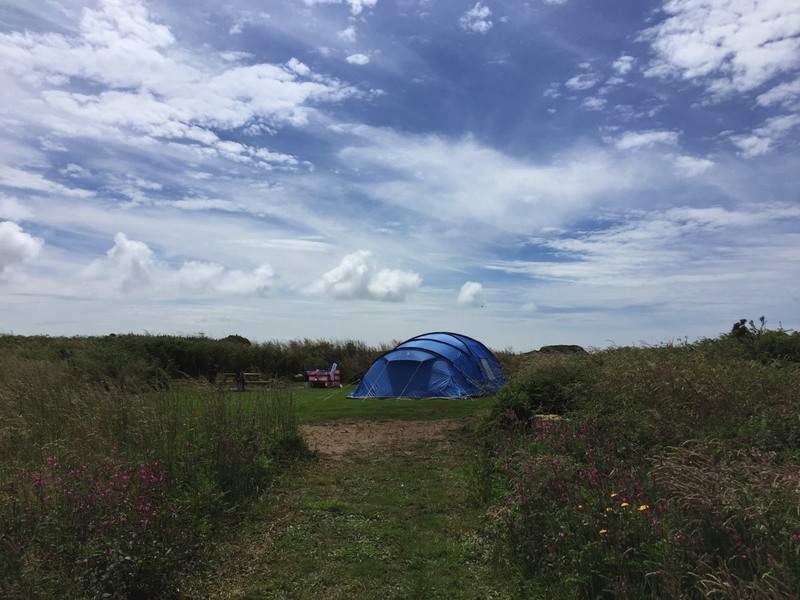 We stayed on Fulmar pitch. It has 10amp electric hook-up and is conveniently close to the showers and washing up facilities. When you are on the pitch you cannot see your neighbours, the loo or the showers etc. It is also great that cars are allowed to the pitch to set up/down only. 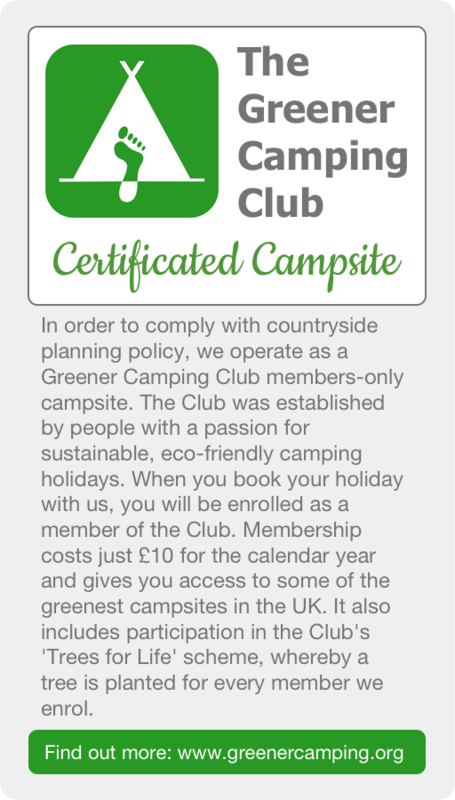 The campfire are supplied with a cooking grate and there is a picnic bench which means you can leave the camping table and chairs at home! We will be returning next year!